Which is best demat account in India? Where should I open my demat account? These are most relevant questions for the new investor, who is planning to open a new demat account for buying and selling shares in the stock market. The new investor planning to open demat account needs to be careful in choosing a demat account else he/she will end up paying high charges and brokerage for every transaction. Apart from fees, one should also check customer support, online facility and trading platform offered by the firm. If you are planning to open a demat account in India. 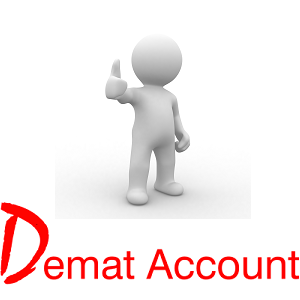 Here is 5 Best Demat Account in India for new investors. Zerodha is one of the best brokerage house providing brokerage free investment facility to the customer. You can open a demat account at Zerodha Instantly using Aadhaar card. Zerodha uses latest technology and provides a rich trading platform to the customer. The features offered by Zerodha is given below. Zerodha charges a flat fee of Rs.20 per transaction. So, you will be able to save a lot of money by using Zerodha as a trading platform. Annual Maintenance charges (AMC) for a demat account is Rs.300 per year. Demat account opening charges is Rs.100. You can open online demat account with Aadhaar card. Rich trading platform with the dashboard. Android and IOS app for trading on the move. Open Zerodha Demat Account here. Upstox is very cost best brokerage house. It was previously known as RKSV. Upstox provides lowest broking trading and investment services. Upstox provides powerful analysis and investment platform. The features offered by Upstox are given below. No brokerage cost for equity delivery trades using Upstox. Free trading software including mobile and web trading application. You can also invest in mutual funds using Upstox. Upstox charges a flat fee of Rs.20 per transaction for Intraday and future brokerage. Demat account opening fees and AMC fees of Upstox is Rs.150. Open Upstox Demat Account here. Angle Broking is leading stock broking and wealth management firm of India. Angle Broking demat account comes with free SMS advisory services. If you are new to stock market you can consider Angle Broking demat account. Features offered by Angle Broking and service charge details are given below. Demat Account opening charges are NIL. Flat discount of 20% on brokerage for all online transactions. Different trading platform for different needs. Lifetime free demat account with one time AMC charge of Rs.2500. Trading and brokerage firm Motilal Oswal Offers one of the best demat accounts. Motilal Oswal is a very old group with strong customer base. Motilal Oswal offers a unique facility to open a demat account using the mobile app. Features of Motilal Oswal demat account are given below. The limited period offer of up to Rs. 5000 cashback on brokerage charges. Sharekhan is a popular name in stock market broking. The Demat account offered by the sharekhan is one of the best. Sharekhan also offers research report to the customer at regular interval. International presence in UAE and Oman is added advantage for Sharekhan. Open Sharekhan Demat Account here. One should consider following important points before selecting a demat account. One should check brokerage charges, AMC charges, and other charges before opening a demat account. Several brokerage firms impose additional charges such as advisory option, future trading fees etc. Technology and trading platform is another important point. A brokerage firm should offer the latest technology and good customer experience. Ease of doing transaction and quality information and research provided by brokerage house is another important point of consideration. Study brokerage plan and transaction cost carefully before making a selection. I hope above points will help you in the selection of a right demat account for investment. If you like reading this article do share it on facebook and twitter, it will be a special gift from you to our blog. « Gold Jewellery on EMI – Is it a good option? Sir, kindly elaborate does what is meant by zerodha charging 20 rs flact on each transations, does that means like in intraday if i open an close a position irrespective of profit or loss equally no. of share traded i have to give 20 rs? Yes you need to pay Rs.20 Flat per executed order. Thank you for your suggestion, Raviraj sir. You are doing an amazing job. I’m Mohana Krishnan, first I appreciate your effort and thank you for your informations. It’s really great. I would like to become stock trader in share market, but I quite confused to choose the brokerage, kindly advise me for the best Brokerage. My choice are “zerodha and 5paise” I would welcome if you come up any best brokerage. I would recommend Zerodha for opening demat account.